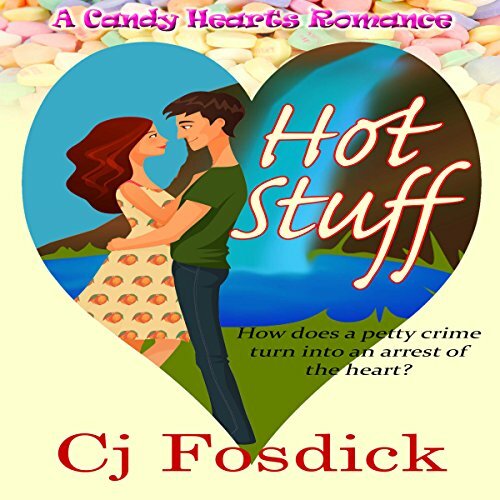 Hot stuff takes on double meaning when klutzy Kate is faced with rookie cop Dallas looking for a stolen lawn statue. In her quiet, crime-free Wisconsin village, Kate has her hands full writing slogans for candy hearts and keeping her kleptomaniac brother with Asperger's Syndrome inside the law. Even her grandmother's famous snickerdoodle cookies can't ameliorate the crime when a stolen lawn statue turns out to be a drug dispenser. Will Kate rise above her concern of what Dallas's uniform represents and admit the charming Texas rookie is the man of her dreams?